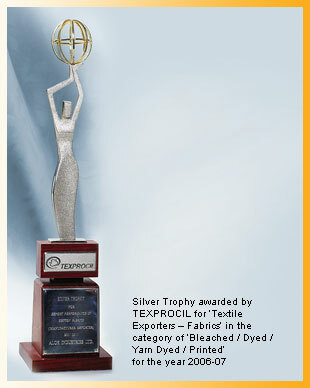 Alok’s efforts at product excellence have been recognised by industry and customers alike. The following awards and recognitions bear testimony to this. 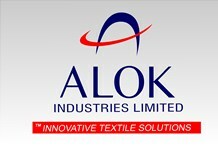 Alok Industries Limited has been accorded the status of "STAR TRADING HOUSE CERTIFICATE"
The Business World magazine has ranked Alok Industries Limited as Indias 68th biggest Company in FY 2010 in the non-financial sector according to their latest survey on the basis of parameters like total income and total assets. The Company has climbed up from the rank 86 calculated on the same parameters in 2009. On the basis of overall ranking, The Economic Times survey ET 500 has ranked Alok Industries Limited as Indias 145th biggest Company in FY 2010. 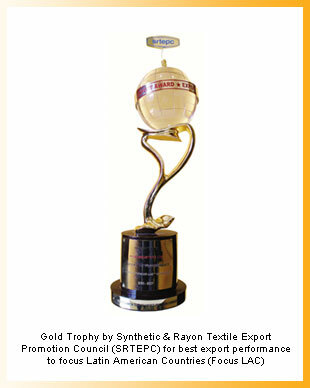 The Company has improved its ranking considerably from 173 in 2009.